iPad is a great device for doing many things and, of course, writing is not an exception. Soon, many of us will go to school, college, university, or, maybe, back to work, which means that writing will once again become an essential part of our lives. If you want to save the trees as well as your nerves while searching for that important piece you wrote yesterday, go digital! Choose the most convenient app from the list below and write there whatever you want and wherever you are. 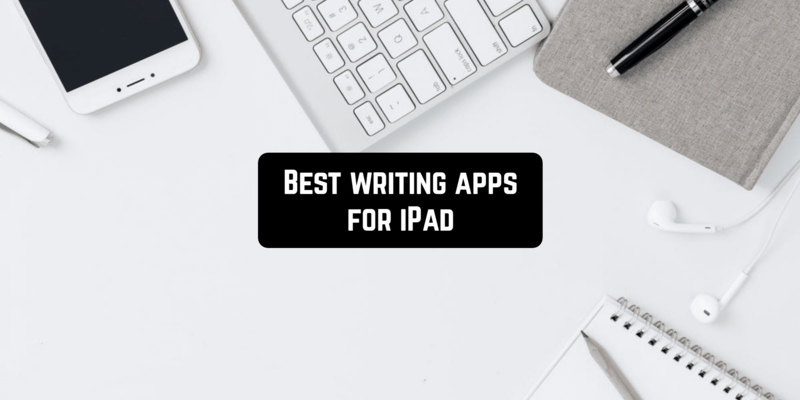 iAWriter is an app that has been praised by practically all the trendy magazines out there – TIME, Forbes, The Guardian, and many others. 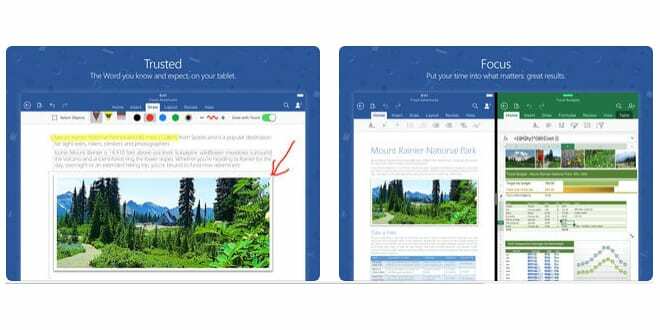 The app provides you with a clear interface with no distractions so that you could concentrate fully on your writing. If you really need to focus, you can switch on focus mode which dims everything but the paragraph you’re working on. If you’re writing at night, choose ‘light on dark mode’, so that your eyes don’t get weary. So, the first advantage of the app is that everything’s super easy and clean. Since sometimes even people with excellent writing skills make mistakes or use inappropriate words, there is an embedded editor that helps to make sentences more coherent. Ready texts can be saved in HTML, docx, pdf, exported to WordPress, Medium, etc. So, if you are a blogger or a writer or some other kind of a content creator, this is probably the best option for you! Pages is more than just a writing app. It is a space to express yourself in many ways that are connected with writing. You can choose from different styles, shapes, and templates something that will suit your needs. Usually, a one would write a resume, a letter, or even a digital book on PC, but this app truly revolutionizes these old ways. 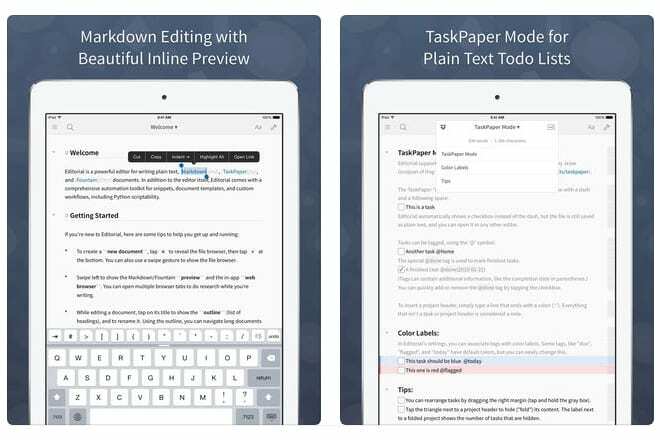 It allows you to perform all of these writing tasks on iPad (or iPhone). More than that, it allows you to draw right in your projects, which is extremely convenient – it is much more difficult to create a drawing using a PC after all. One more plus is collaboration – you can work on projects together with someone or with your team. 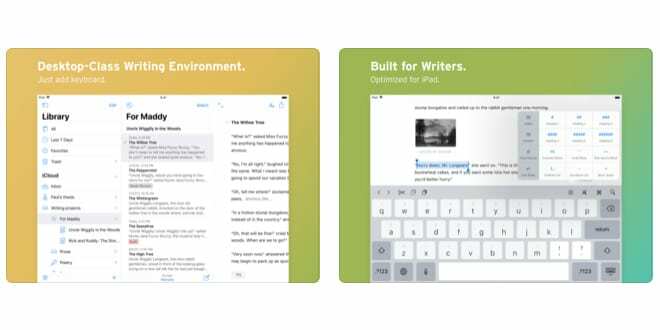 So, if you need a writing app for creating cool writing projects or just something that requires additional details (not just plain text), this is a nice option to consider! Ulysses is a lot like iAWriter. It also offers a clear interface that allows you to immerse in the process of creating a text. It is easy to use and has all the tools you need in order to deal with editing, formats, etc. By the way, you can save your work in many different ways – HTML, PDF, docx. You can even post it right to WordPress or Medium. So, basically, we can observe all the features that are also present in iAWriter. Syncing, cool-looking library, autosave… There are lots of great features in this one. The app requires a subscription, though, so if you are hard on money, it is better to compare the prices first. You can use a 14-day free trial and then decide whether you want to keep the app. 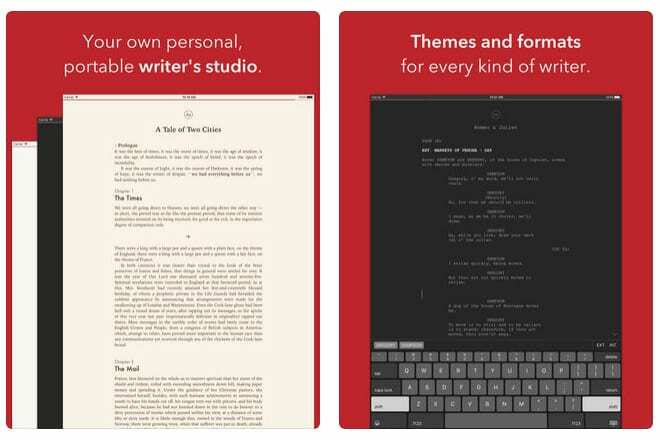 Any writing apps list will be incomplete if it doesn’t include a Microsoft app. Microsoft Word is certainly the leader in digital writing. It is known by every computer user in the world. The program’s biggest advantage is its functionality. You can use numerous tools to make your text look exactly the way you want it to. More than that, you can use ‘comments’ in order to collaborate with others on your writing projects. Reading mode allows you to view docs. Documents can be saved in various formats – all as usual. So, if you prefer good old ways, this is your best choice! 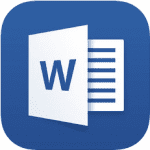 It doesn’t really matter whether you use an iPad, a PC or any other device, Microsoft Word is present everywhere. By the way, it makes syncing between the devices easier and more available. 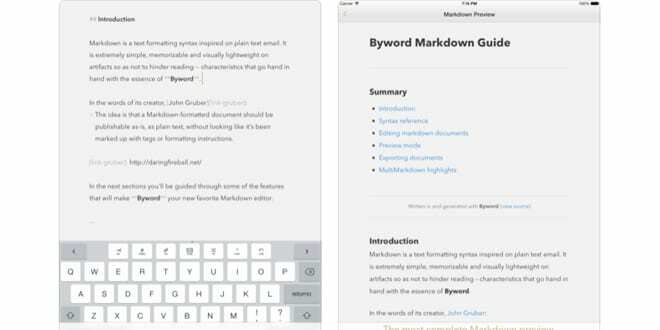 Byword is a pretty simple writing app for Apple’s devices. It can be synced between Mac, iPhone, and iPad. Originally created for Mac, the app has been adapted to other platforms. There are such useful features as footnotes, references, and others. The files can be saved in PDF or in HTML. More than that, they can be published right from the app to your blog no matter whether you use WordPress, Medium, Blogger, or even Tumblr. So, if you have Mac and have been using Byword there for quite a while, choose this one! Not only it will provide a comfortable working environment for you, but it will also sync your texts in a moment which means no worries about switching between the devices. Even if you haven’t been using the app yet, you can still consider getting it – it is a really cool one to have at hand. If you want a really simple app for writing, choose a notes taking app! Of course, you have a default notes taking app on your iPad, but if you don’t like it, you may consider getting a similar app. For example, Simplenote. Simplenote hasn’t got a lot to offer, however it does its job really well, fast and efficient. You just open it and you write whatever you need to write – ideas, notes, lists. If your notes collection grows, you can use special tags and pins so that it would be easy for you to find the most necessary notes. Despite the fact that it is just a notes taking app, there is a collaboration feature – you can allow access to your notes to someone else. All in all, it is a perfectly plain and wonderful app! Give it a try. Notes taking apps are not all that easy. A vivid example of it is Evernote. 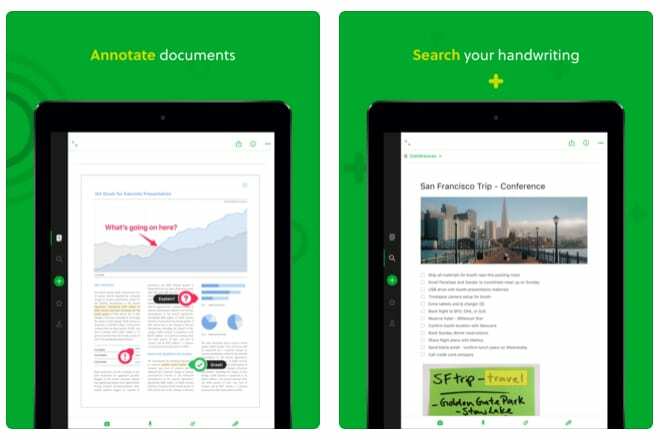 Evernote is indeed an organizer – it will keep all of the ideas, notes, texts and whatever else you’ve written in one place. Searching for the needed notes is easy! Inputting notes is also not that hard. You can add plain text notes, photos, audios, voice recordings, and many more. 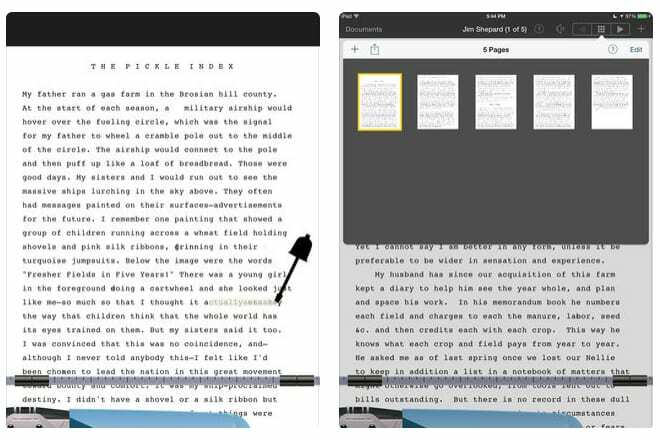 What’s probably the best is that you can scan your hand-written notes right in the app, add some tags to the scans and then enjoy a complete collection of your writing pieces. The app can be synchronized between all the modern devices that exist today. It is very popular. So if what you need is to take and to store notes, this is an amazing option for you! 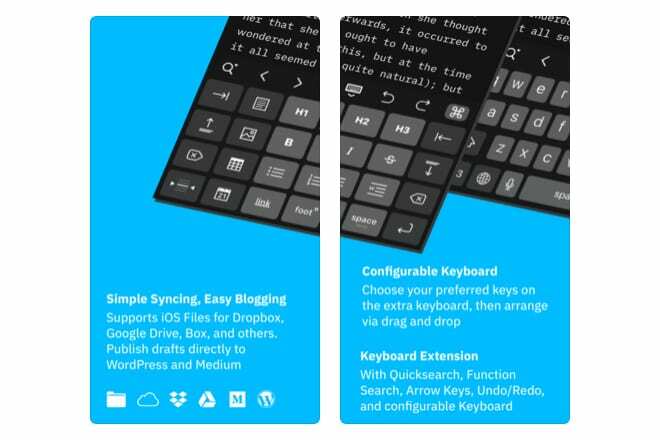 If aesthetics are important to you, you may consider getting Typing Writer app. 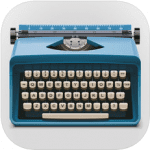 The app basically simulates what has been long forgotten – a typewriter. It provides all the details that are associated with a traditional typewriter – sounds, inability to correct mistakes instantly, and even a special brush to white out mistakes. The best part of it all is that you cannot correct anything until the work is done. It kind of boosts your productivity, or at least makes you more accurate. For just one dollar, you get a nice typing machine on your iPad. Of course, all the produced texts can be saved and opened in any other word processor. If you choose this one, you’ll just make the process of writing more pleasurable! All the rest details can be taken care of later. Whether you want to try this cute way of inputting words or not is up to you. 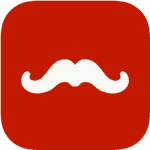 Editorial is an iOS editor. The app has lots of cool frills in it, such as, for example, an embedded web-browser, Dropbox integration, smart keyboard, and even Python Scripting – everything for making your workflow more efficient. If you want to make your writing more automized and if you frequently use this or that information in exactly the same manner, the app will help you to save your time by doing half of your job for you. The most challenging part is to adjust the settings. So, if you need a complicated, customizable writing app that you can adjust according to your needs, Editorial is a perfect choice! 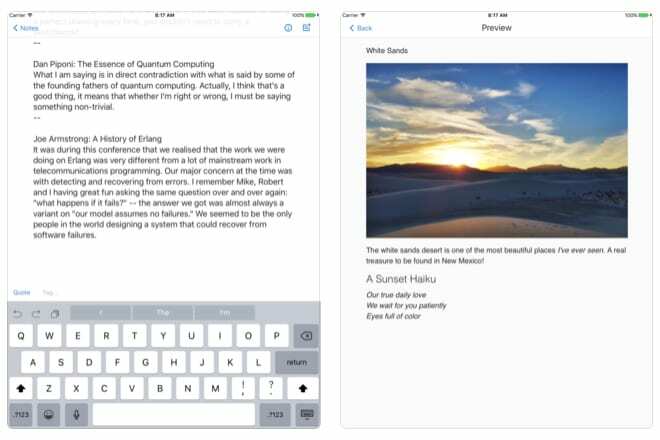 It will open a lot of cool possibilities that no other writing app is able to offer. Werdsmith is a beautiful and simple writing app. It has 5 themes to choose from. The design is really eye-appealing. Besides the design, the app can boast of having a great UI and Dropbox integration. You can sync between all the Apple’s devices. The peculiarity of this one is that it is more suitable for writers rather than bloggers. There is such feature as creating a portfolio – you can choose the best of your works and make them accessible to other users of the app if you want to. You can also share your pieces with friends on Facebook or with your subscribers on Twitter. Last but not least is an ability to set goals for yourself – you can set a certain amount of words you need to write every day. This way you’ll stay motivated and keep going no matter what! All in all, if you are a writer, this one is for you. Writers, bloggers, note takers, content creators… We all have to mind our language! Being literate in the modern world is essential. It shows off the level of education and overall culture. However, sometimes we all make mistakes. In order to avoid them, you just need to install Grammarly! 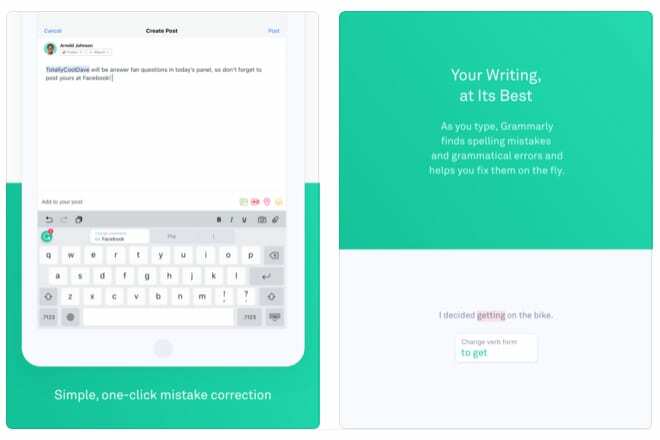 Grammarly is an app that corrects grammar, spelling, punctuation mistakes while at the same time explaining the rule why it should be written in this way and not in the other. So, if you use Grammarly for a while, you will no longer need it! You’ll know of the most common mistakes and write in the proper way without thinking. What’s cool is that Grammarly can both be used as a separate writing app and be combined with other apps. Its main function is helping you avoid mistakes. If you are not always sure whether you’re using the right word or whether you need a comma in that place, you should definitely get this app! I hope you enjoyed the article. Write with pleasure and without mistakes. As always, be smart in choosing apps!